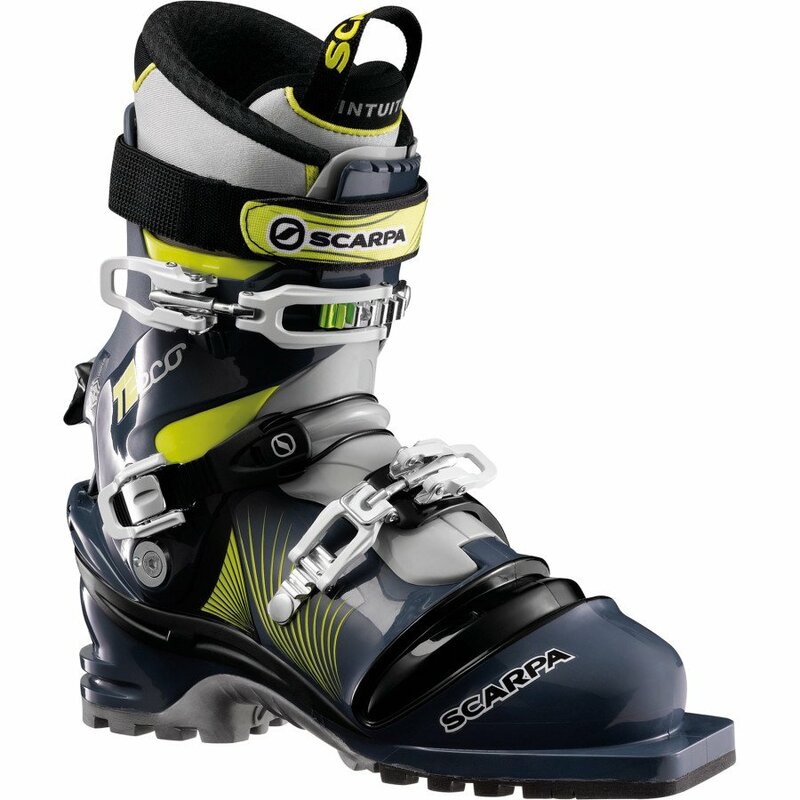 SCARPA has had few boots with the track record of the T2. A favorite among telemark skiers for decades, the T2 has been the go-to backcountry Tele boot since the original version was introduced more than two decades ago. True to its history, the latest version, the T2 Eco, continues to set the bar in this category with an even balance of performance, fit and comfort. It employs plant-based Pebax® Rnew plastic, triple-injection construction, Intuition® liners, and more sophisticated buckles for an ever-capable, comfortable Telemark boot. An Active Power Strap and replaceable scuff guards included in the box round out the details.